Below you will see the exact sizes I ordered and the price I paid for each item. Everything fit perfectly, with the slim-fit jacket and pants perhaps just a touch on the snug side, as expected. 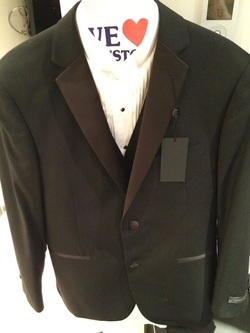 You should feel free to order or wear a slim or a normal cut of this style tux, as you prefer. 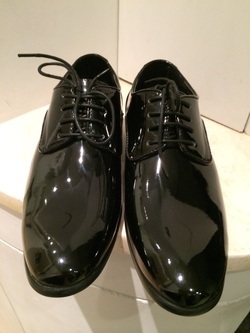 The length of the pants will probably have to be adjusted at the tailor, which is normal. 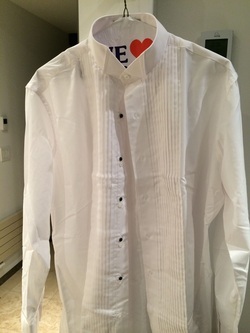 Note that for the pleated white shirts, you will need to know your collar size and sleeve length to order. 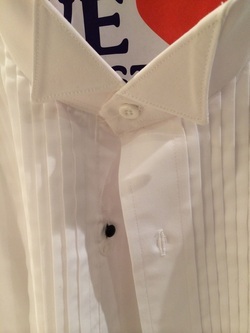 White, pleated, wing-tip collar with black and white buttons.